New Year – 2018 holds promise as New Year’s tend to do, and for FH&W, Inc. we can’t think of a better way to start the year with some renewed focus, some aggressive goals and a commitment to one another, to our manufacturer partners and to you, our customers. In fact, we’ve added a new way to help you with restaurant equipment and supply decision making. 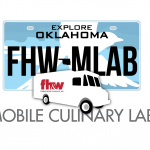 FH&W’s test kitchen on wheels, or Mobile Culinary Lab is a great resource for our customers. 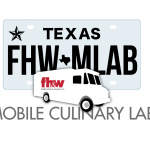 If you can’t make it to our Culinary Lab in Coppell, Texas let us know how our Mobile Culinary Lab can help you. 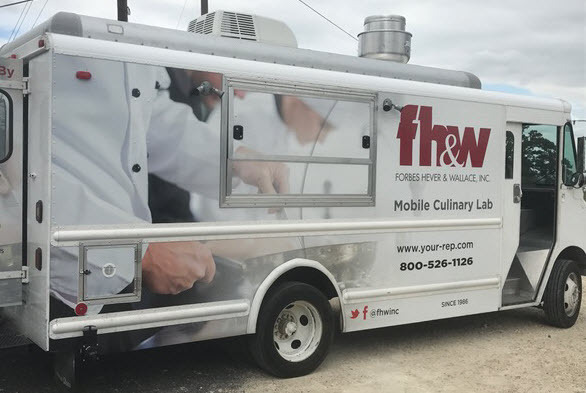 New Partner – FH&W, Inc. kicks off 2018 with a new partner and we couldn’t be more thrilled. Cres Cor joins the FH&W, Inc. family. Their addition make our product offering, mostly made up of independently owned/operated American made manufacturers, even stronger and more impressive. What appealed to us about Cres Cor is how much they aligned with our core values and commitments. Even more so when you consider their strong history combined with a deliberate move to the future of foodservice. When you look at their product offering http://www.crescor.com/ it’s clear that this isn’t just a factory manufacturing foodservice equipment. Cres Cor has a focus and a dedication to all market segments of the foodservice industry including restaurants, k-12 schools, healthcare, colleges & universities. Their product line includes proofers, hot cabinets, cook & hold ovens, roasting ovens, carving stations, and you’ve got to check out the Tri-Powered HotCube3. New Videos – Check out the ever growing FHW’s YouTube page. The newest adds are the Kitchen Equipment & New Technology Expo Recap Video and a quick introduction to FH&W. We’d love to hear from you with your ideas on videos to help you in your foodservice operation. Email us and tell us what you’d like to see. Follow us on Twitter for video announcements!